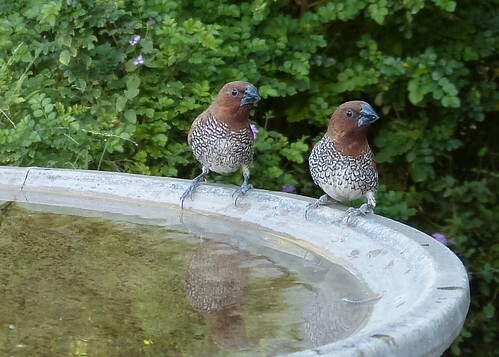 On Saturday, we noticed some rare visitors, bluebirds and cedar waxwings, coming to our bird bath. So, on Sunday we took the camera out with us. 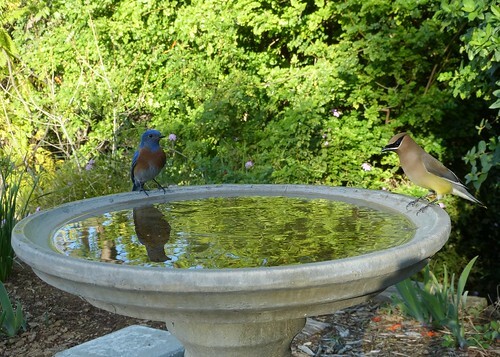 Here's a photo of this unusual pair, a Western Bluebird and a Cedar Waxwing. 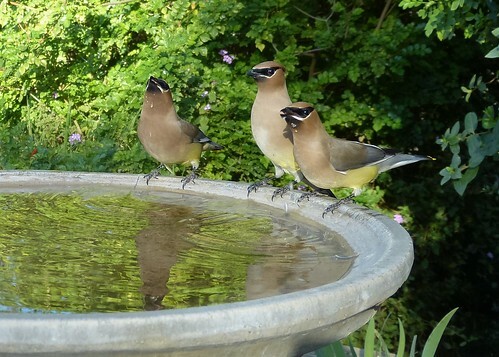 Cedar Waxwings usually travel in large flocks. Here's three at the bath. 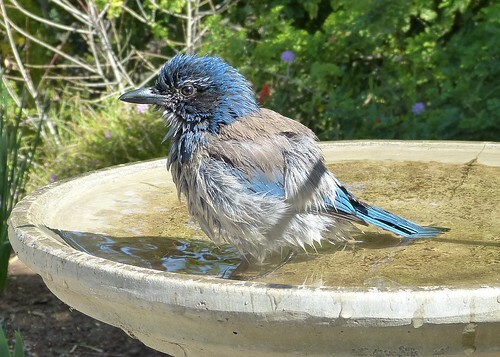 The Scrub Jay is also a infrequent visitor to our yard. The Nutmeg Mannikins have been making nearly daily, often brief visits. We are hoping for a nest somewhere. 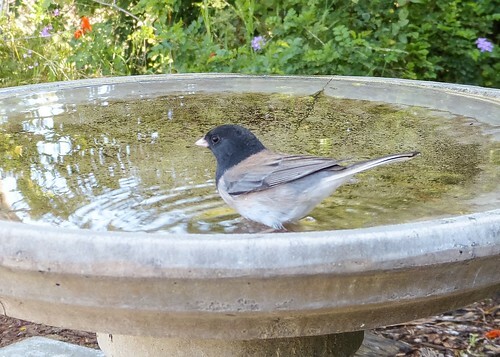 We're not sure how much longer the Dark-eyed Junco will stay before heading to Oregon for the summer. 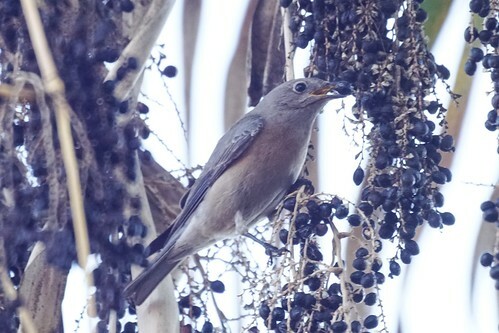 We eventually found the reason for the Waxwings, Bluebirds (and robins). A nearby palm tree was providing them with food.